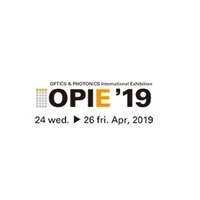 imec, at the SPIE BIOS and SPIE Photonics West 2019, is showcasing an on-chip solution for Raman spectroscopy. Based on a newly patented concept of providing high optical throughput and high spectral resolution, the solution could pave the way for affordable high-end handheld Raman spectroscopy device opening up many new applications. Imec invites technology partners and IDMs to further develop the technology into a commercial application. Thanks to a new concept, for which a patent is pending, imec has now been able to overcome this performance barrier. By massive parallelization of waveguide interferometers integrated monolithically on top of a CMOS image sensor, both high optical throughput and high spectral resolution can be reached in a miniaturized device. This novel system is built in imec’s SiN bio-photonics platform which guarantees robustness and compatibility with high-volume manufacturing. Part of the work was performed under the EU-funded IoSense program. Pol Van Dorpe, Principal Member of the Technical Staff at imec, believes the milestone can mean a breakthrough for the general applicability of Raman spectroscopy. One could even think about smartphone integration. With the right partners, imec sees many application opportunities in areas like food analysis, melanoma detection, or skin hydration. In the medical domain, they see opportunities for in-line measurements during surgery or endoscopy. And for space exploration, the ability to perform material analysis with a compact system is of tremendous value.